According to a recent study, 85% of marketers say that lead generation is their most important content marketing goal. A majority of these marketers spend most of their time planning content and creating campaigns in the attempt of creating new lead generation ideas to convert more customers. There are marketing tactics such as email campaigns and attractive landing pages to attract new paying customers, but the reality is, no one wants to give out their email address for nothing. You must create something valuable and worthy for them to hand out their information in exchange. You want to show people that you are there to help them, not push them to buy your product. The problem is, creating original and creative ways to effectively attract new leads and paying customers is easier said than done. This article covers 7 unique and proven lead generation ideas to skyrocket your online sales. Let’s jump into it. Most people want to absorb as much new information as they can, but they come to a roadblock when it gets confusing to research and there is a high cost. This is where your email course comes in, a valuable email course is like access to a real classroom, for free. For busy people, a step-by-step email course is simple to follow and provides real, valuable information. Take some of your older blog posts and compile them into a 3-10 day (or more) course of smaller, easy to digest emails of information. 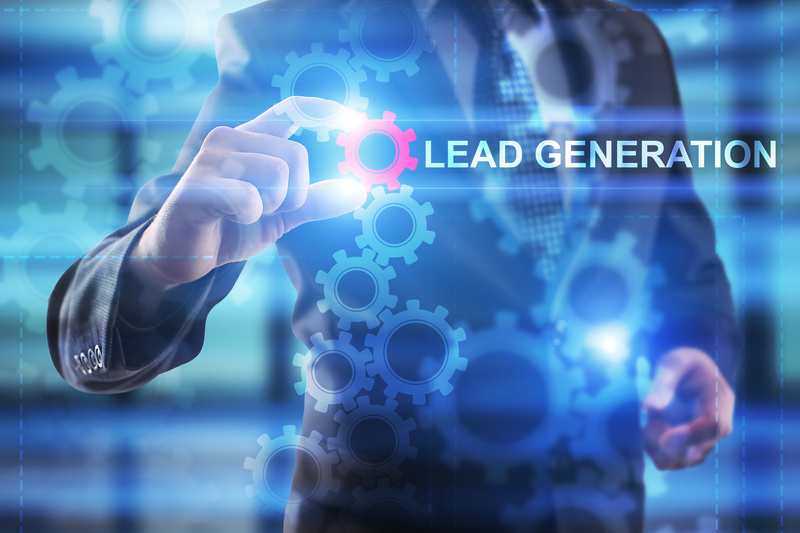 Offering it as a lead magnet in exchange for an email address is one of the best lead generation tactics available today. Look at your landing page with squinty eyes, does the call to action stand out? If not, you need to re-arrange your landing page to optimize the call to action where it is big, bold and easy to see. Run a split test with two landing page samples and see which has the best conversion, then go with that one. Send these samples to your non-tech-savvy friends and get their opinion on how easy it was to purchase your services. The easier to convert, the more marketing leads you will get. A whopping 65% of our population are visual learners, which means that we need tactics to attract this type of learner and keep them glued in. This is exactly where videos come in. Videos have a way of drawing in emotion and expressing vulnerability which are proven ways to breed a connection with your prospective customers. Thanks to online tools such as Animoto, iMovie, Adobe Spark and many more, it is extremely easy to make captivating video leads. If you really cannot make an attractive video, hire someone to do it. Do not waste your time on something that will not convert. That link will have an opt-in where they have to enter their email address to receive the download link. Now you have more emails and prospective customers. Voila! This type of lead generation advertising helps really well with HyperTarget Marketing and affiliate marketing. Giving away some free products to a few top name influencers is basically free promotions. There are a few catches to this type of lead generation, however. You need to scout out and connect with influencers who are completely related to and love your brand, or else you are drowning your product in a sea of uninterested people. Check for the influencer’s success stories and ROI from other companies in the future. If they are good at influencing, they will have testimonials from other companies raving about their incredible return on investment. As of 2018, mobile sales are now accounting for 50% of all online purchases. If your campaigns are not mobile friendly, you are basically wasting time and money. Keep it as short as you can, with highly valuable content. Optimize all call to actions for mobile viewing, they must stand out! It must require them to type up very little information, as typing on mobile is not desirable for most people, otherwise it will prevent conversions. The page must be appealing, stand out, and provide as much information in as little space as you possibly can. You may also want to run a split test on the mobile version to see which mobile landing page converts the most. A checklist, otherwise known as a to-do list, ensures consistency and completeness of tasks. No matter if you are type A or Z, our brains need checklists to be fully productive in the task at hand. Offering a free checklist to a related blog post or popular topic will add real value to your customer’s lives and is one of the most creative lead generation tactics you can add to your page. Add it as an opt-in, included in your articles, or give the link to people who are commenting on your posts. This shows that you are trying to give more value to people instead of just getting them to purchase your products. We have much more lead generation ideas that will help skyrocket your sales such as how to guest post, creating link maps, and so much more. Have questions or want to add your blog to our list? Feel free to contact us.